When an opponent's Friend enters play here, put a Shield counter on this card. 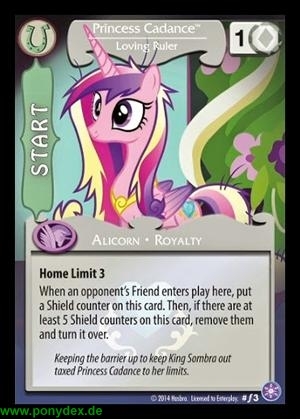 Then, if there are at least 5 Shield counters on this card, remove them and turn it over. Keeping the barrier up to keep King Sombra out taxed Princess Cadance to her limits. Opponents pay +2 action tokens to play Friends here. 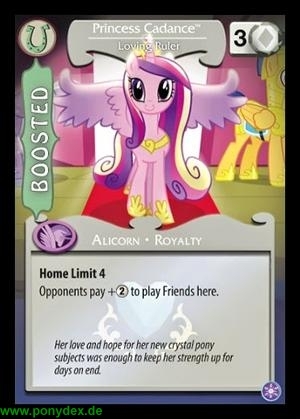 Her love and hope for her new crystal pony subjects was enough to keep her strength up for days on end.